Before the South African Women’s Squad goes on their tour in England that will last between June and July, two new faces have been added to the squad: Tazmin Brits and Stacey Lackay. This development happened in the aftermath of the pair’s iconic and noteworthy performance during a recent encounter with Bangladesh. 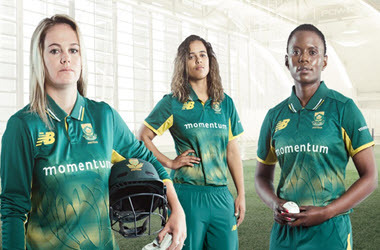 The South African team is scheduled to play a three-match ODI series against a few hosts for the ICC International Women’s Championship. Following these matches, a highly anticipated tri-series that features New Zealand will occur. The new names in the squad were meticulously picked with a large consideration for the T20 format. Tazmin Brits, a wicket-keeper batswoman made her intimal T20I appearance during a match against the well regarded Bangladesh where she scored an astonishing 29 and 10 scoring in the two games she played. Though even before that, her name has been heard as she was a participant in the women’s tournament home game this April. Brits are looking to be a possible long-term, and maybe eventually, a full-time replacement for Trisha Chetty who is currently missing out of the squad. On the other hand, Stacey Lackay did not get as many chances as Brit to show off what she can do during the three T20I’s that she participated in. However, this player is prized for her skills when using the ball and the bat. Accompanying Brits and Lackay is the well-known Zintle Mali, who plays medium-pacer. Mali claimed to surprising wickets during the Bangladesh game while gaining an average of 24 and a scanty 3.00 regarding the three ODI’s against the opposing team. The National Convenor of Selectors, Clinton Du Preez commented that this upcoming tour of England is going be a perfect chance to take 15 skilled players along and give them the platform needed to prove themselves and their capabilities while playing in tougher and most intense situations. He added on with a smile that he personally believes that Lackay will put up another show-stopping performance this week, while Brits have shown potential due to her great season alongside Mali who is the definition of how having great perseverance can lead to great rewards being earned. Preez ended his sentiments by stating the girls were chosen with the intention of planning ahead for the 2018 World T20 that will take place in the West Indies – having these two new additions can boost the squad up to the level needed to make winning a reality. Though his final message about the new additions to the squad showed his confidence of their performances during the England tour and how the team will begin to make even more of a name for themselves. The matches that will take place during the ODI series will be in consideration regarding the Championship, which will be the determining factor in seeing who will play in the 2021 ICC Women’s World Cup. Both England and South Africa only played one series, which has been noted that they lost against India and Australia, which has set them down to sixth and seven places in the rankings. Du Preez stated that their focus is going to be in preparation for the 2012 World Cup. The team and the managers are using the current time to fully prepare themselves to earn the chance to play in such a big Championship – and the debuts of the two new players are making the chances of winning even more realistic and will make the games even more interesting.